A suite of four short pieces for violin duet. Please note that this item contains only the score and not the individual parts. Also available in a version for viola duet. Click here to listen to a recording of the suite. 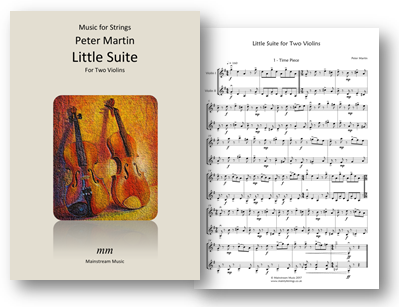 A suite of four short pieces for viola duet. Please note that this item contains only the score and not the individual parts. 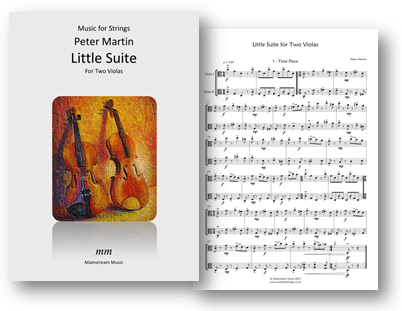 Also available in a version for violin duet. Click here to listen to a recording of the suite. 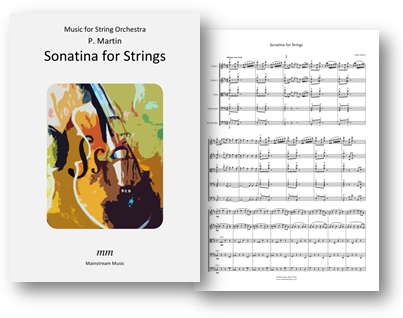 A re-working of the composers popular Sonatina for Piano for string orchestra. The PDF includes a part for violin III, doubling that of the viola. Click here to listen to a recording of the piece. Also available in versions for harpsichord/piano & strings and string trio.